Tip-toe into the pitch-black lair beneath the Castle to discover a very special fairytale creature. Amongst the craggy rocks and dripping water lies a defeated dragon, chained and sleeping - but easily awoken! This is one fantastical legend that isn't looking for a happily ever after. 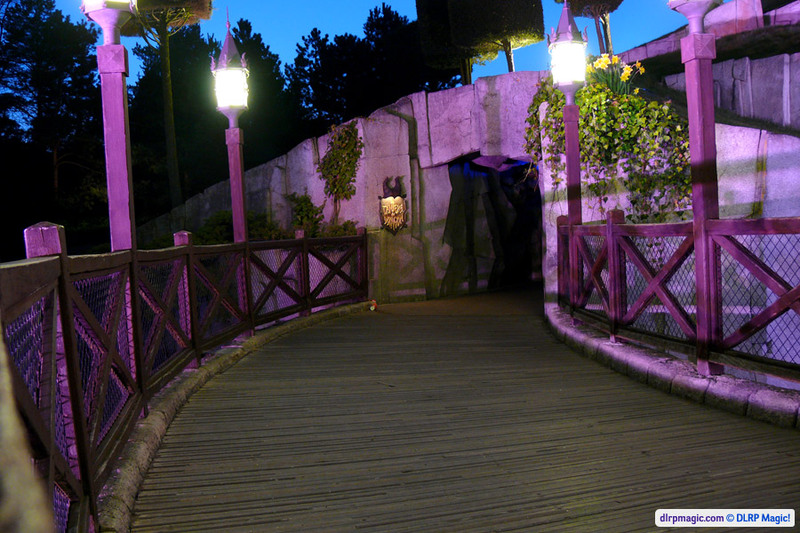 A huge, monstrous Audio-Animatronic like none you've ever seen before, masterfully hidden under the pleasant green hill to the left of Le Château de la Belle au Bois Dormant. 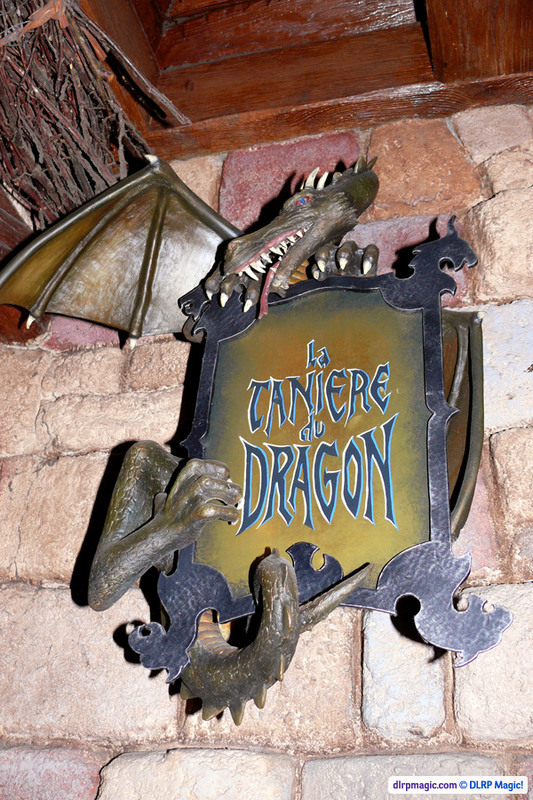 One of the most spectacular examples of why Disneyland Park is far above your average theme park, La Tanière du Dragon has no ride vehicles, no queue; It was designed and constructed simply for pure immersion into the elaborate, fairytale story surrounding it. 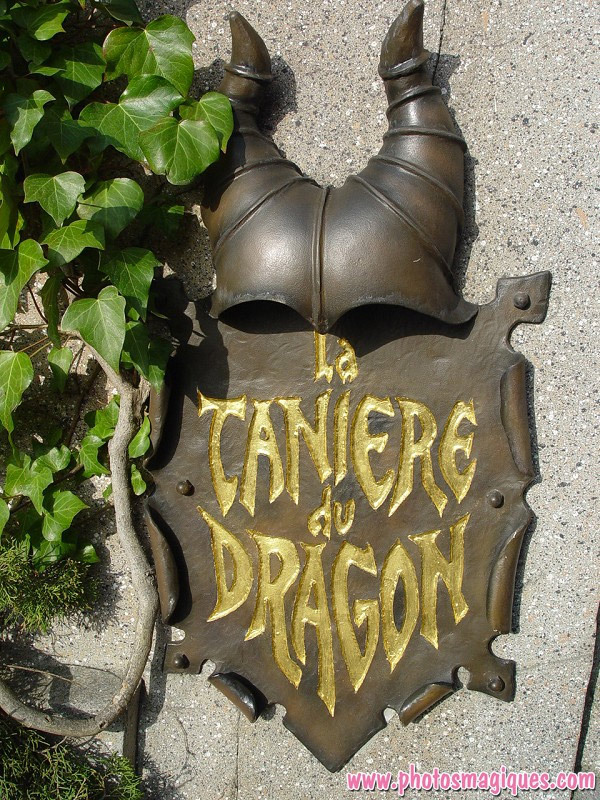 A worthy and equally unmissable partner to La Galerie de la Belle au Bois Dormant above, this is also entirely unique to Disneyland Paris. 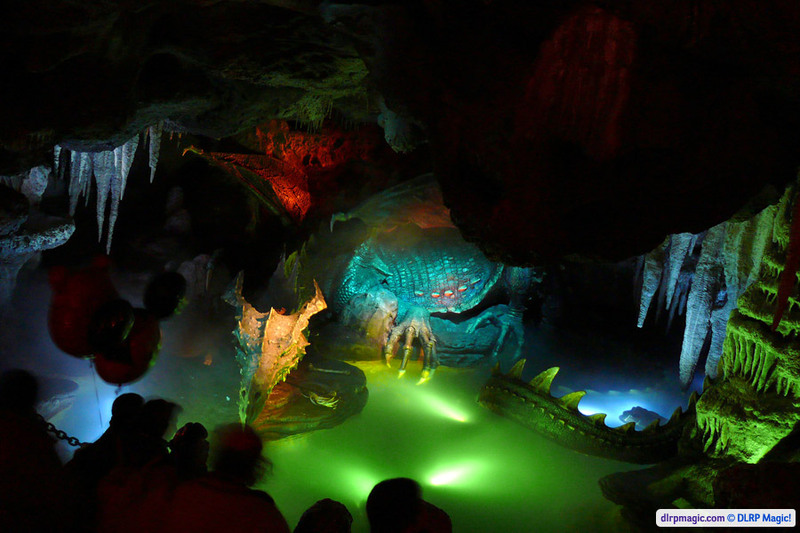 Atmospheric dungeon beneath Le Château de la Belle au Bois Dormant, housing an Audio-Animatronic dragon. At the opening of the park in 1992, this was by far the biggest Audio-Animatronic figure ever created. 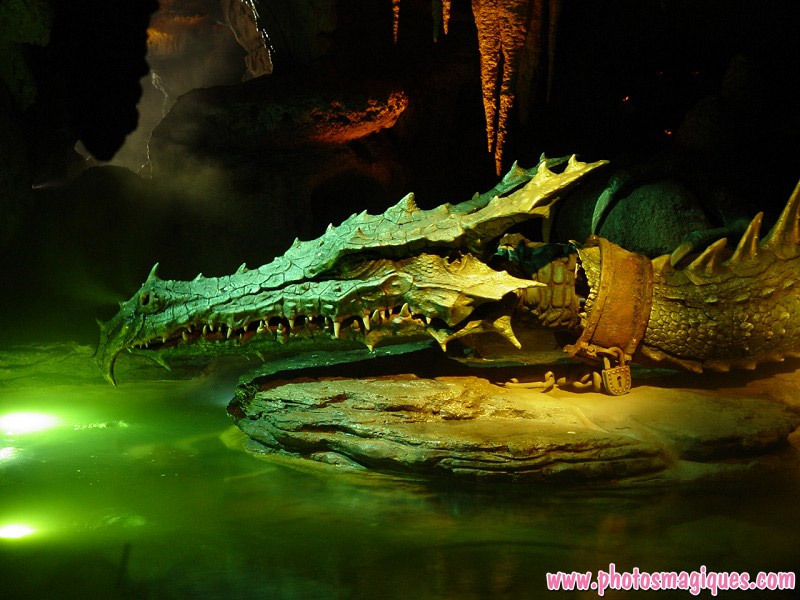 The darkness of the cave sometimes masks the Dragon's true size, but just follow it all the way around and be awestruck — from its steaming nostrils to its pointed tail, flapping in and out of the water! This isn't just any Dragon, either — it's Maleficent wrapped in chains! The Imagineers completely redesigned her monstrous alter ego from the 1959 film taking inspiration from medieval art and folklore from across Europe to create a much more believable, living, breathing, three-dimensional creature. At an impressive 22 metres long, the Dragon weighs over 2,500 kilograms! Visit in the dark of late evening for a truly eerie atmosphere and a better perspective, since your eyes will be more adjusted to the darkness inside. 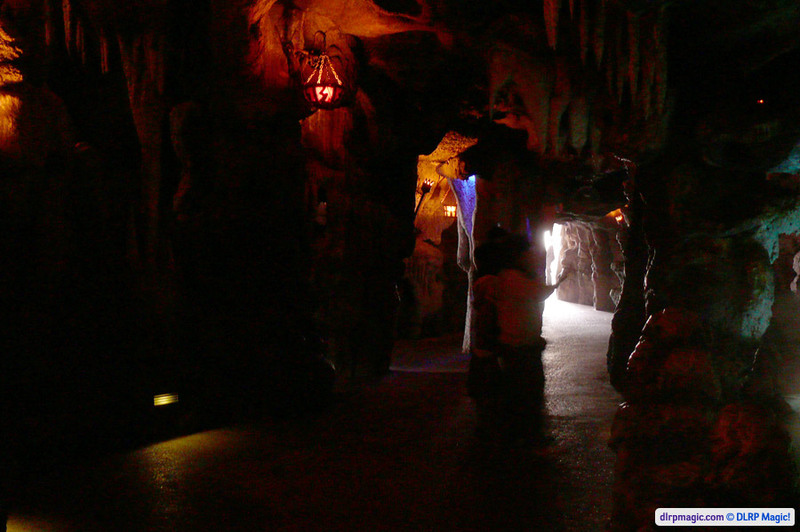 Both the darkness and the large, though slow-moving, animatronic creature could frighten some very young children.